JetBus is one of the popular transport company in Malaysia. JetBus is under the management of Perkhidmatan Hafeena Sdn Bhd. The headquarter office of JetBus is located at Semenyih, Selangor. 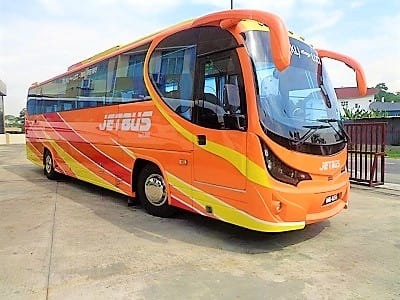 Popular routes offered by JetBus include bus from KLIA to Terminal Bersepadu Selatan (TBS), Terminal Bersepadu Selatan (TBS) to KLIA, Putra Height to KLIA, KLIA to Putra Height, Putra Height to KLIA2, KLIA2 to Putra Height and many more. Buses deployed by JetBus are 40-seater bus fully equipped with air conditioning system and spacious luggage storage for airport commuters. The reclining seats and spacious legroom also ensure a comfortable journey for their passengers. 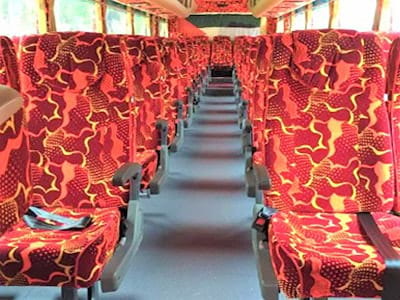 By joining BusOnlineTicket.com, now everyone can book JetBus bus ticket online!